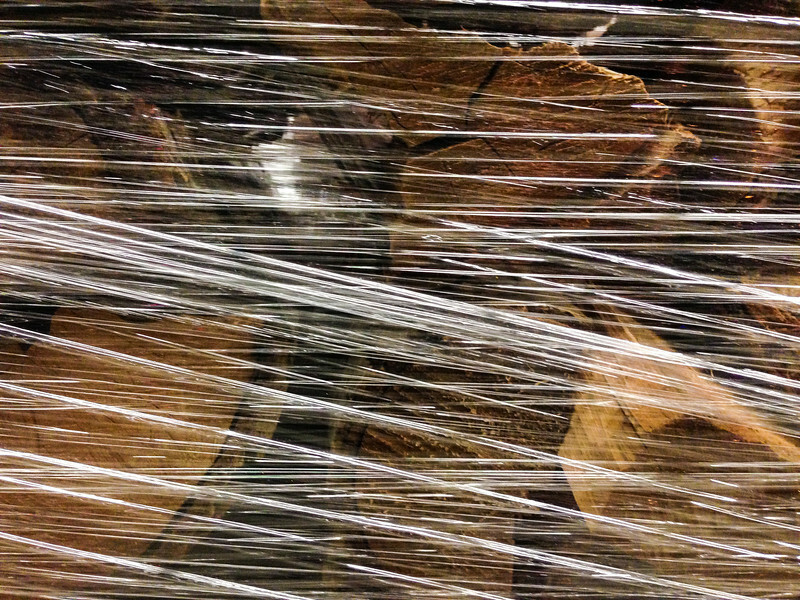 Bundles of firewood, stacked on a shipping pallet and wrapped in plastic at a Rite Aid. What a glorious age we live in. Neat shot and find! These are strange days we live in. Ironic and rather sad. Wow! That is really interesting! You have a good eye.